What, is it that time again? 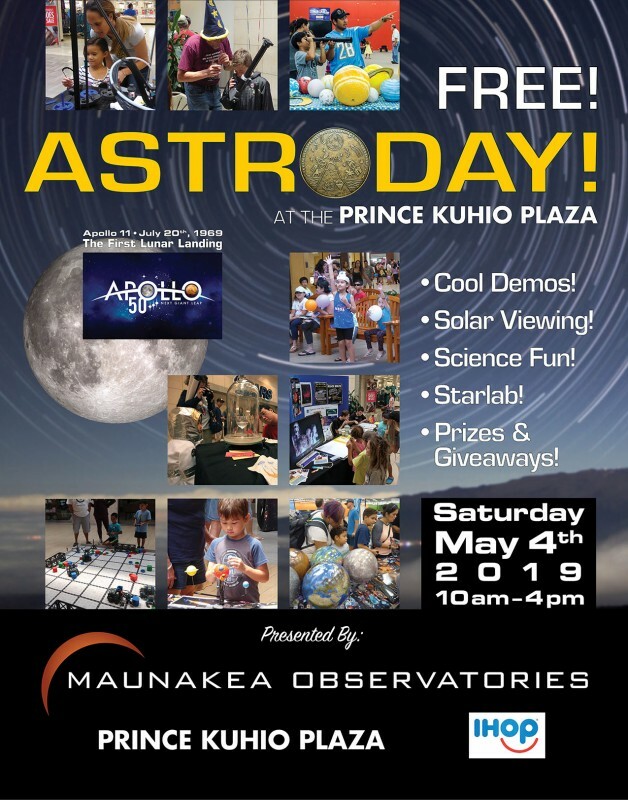 Our annual AstroDay celebration comes back to the Prince Kuhio Plaza in Hilo with more fun activities and science demos. Celebrating the 50th anniversary of the first moon landing to "May the 4th be with you" surprises! MKAOC Members hold regular public programs each month as well as special outreach events throughout the year. OUR MISSION: The Mauna Kea Astronomy Outreach Committee (MKAOC) coordinates and organizes the collective outreach efforts of the astronomy community and acts as a forum for the astronomy community and related organizations to plan and coordinate outreach activities.